Combine the following ingredients in a glass jar and shake well. 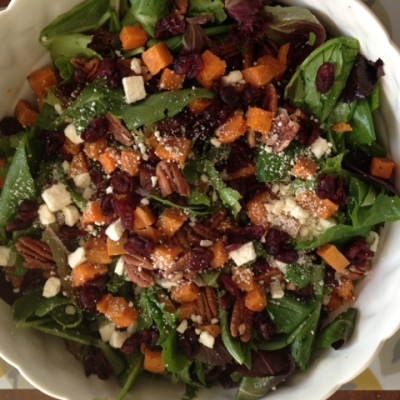 Scatter roasted sweet potatoes, dried cranberries, feta cheese and roasted pecans over salad. Drizzle with honey-cumin vinaigrette. Pass extra vinaigrette at the table.